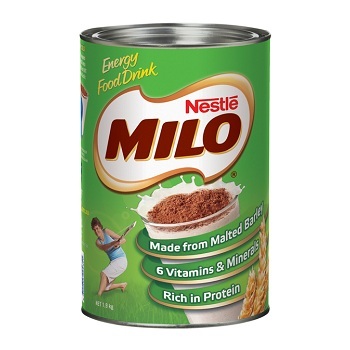 Nestlé Milo is the favourite energy food drink with Australian children and adults. Enriched with vitamins A, B1, B2, C and Iron. Have a chocolate break anytime! Available in a range of pack sizes to suit your office requirements. 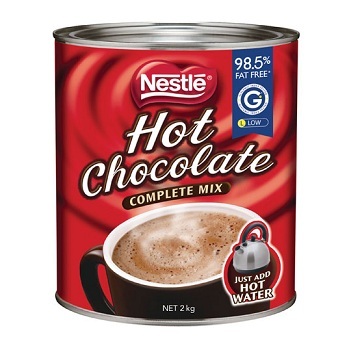 Nestlé Hot Choc Complete Mix is blended with with fine cocoa and skimmed milk powder to create a delicious creamy chocolate flavoured drink. A great tasting hot chocolate that is 98.5% fat free. Available in a choice of sizes to suit your office needs.